#UCLFinal: Real Madrid Lifts UEFA Champions League 2017 Trophy! For a record 12 times and the second time in a row, Real Madrid lifted the UEFA Champions League trophy on Saturday, June 3, 2017. The game which started with massive attack from Juventus in the first 5 minutes saw Real Madrid pick up pace and opened the scoresheet in the 20th minute with a goal by Ronaldo. Juventus equalised in the 27th minute with a volley by Mandzukic. At half time the scoreline was 1 – 1. 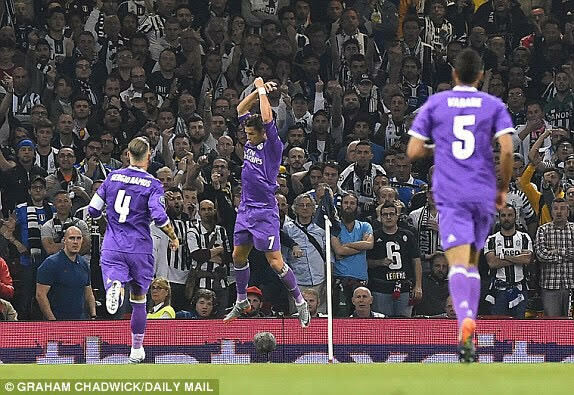 Casemiro‘s shot from outside the 18 yard box extended the lead and Ronaldo made it 3 – 1 in the 64th minute of the game. Asensio scored the 4th and final goal in the 90th minute of the match.